We’re currently seeking more employees, many positions available. Call or submit your information to be considered. Specializing in parking lot repair and maintenance, as well as any form of asphalt installation, paving, patching, resurfacing and striping, Young & Sons Asphalt Paving Inc. has been your trusted source for superior asphalt paving in Indianapolis, IN since 1977. When it comes to your residential or commercial asphalt needs, whatever they may be, there’s no better contractor in the business than Young & Sons Asphalt Paving Inc. From the biggest resurfacing job, to the simplest installation, our expertise in all things asphalt shows in our superior work and stands the test of time to truly exemplify our quality approach. Our services run the gamut of potential asphalt needs, including asphalt installation, crack filling, seal coating, patching, striping, resurfacing, sweeping and cleaning. Whether your asphalt surface is decades old or freshly installed, we guarantee that when we’re done with it, it’ll look and feel brand new. We are accredited with the Better Business Bureau, with a superior rating. We are a well-recommended member of Angie’s List with a zero-complaint record. We’re happy to partner with business owners and managers for routine asphalt work. 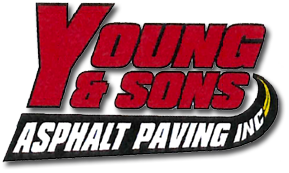 When perfect asphalt paving is your priority, give Young & Sons Asphalt Paving Inc. a call today for the very best service.